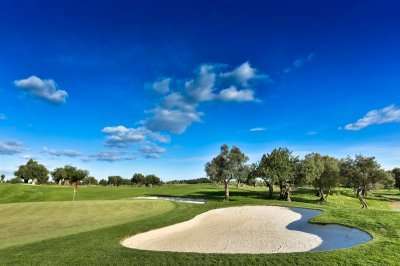 The four-star Maria Nova Lounge Hotel is a fantastic accommodation option for a golf holiday in one of the Algarve’s best golfing destinations, Tavira. This recently renovated hotel boasts an ideal location, situated just a five-minute walk away from the centre of town. With an unbeatable location in close proximity to the nearby golf courses, great value rates and impeccable service, the Maria Nova Lounge Hotel is an excellent choice. 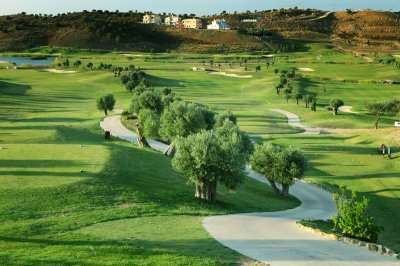 Not only does the Maria Nova Lounge Hotel boast an ideal location just a few minutes away from the centre of Tavira and some of the best golf courses in the Algarve, with its hillside position, guests are provided with panoramic views of the stunning surroundings throughout the property. To reach the nearest beach, guests must hop on a ferry to get there which only takes approximately ten minutes from the hotel. Tavira emits authentic Portuguese charm with white washed buildings and stunning cobbled streets. Here, visitors can visit one of the many restaurants for a true taste of Portuguese cuisine. The Maria Nova Lounge Hotel is a fantastic base for a golf holiday in a key golfing destination in the Algarve, located within easy reach of the fantastic golf courses in the region. The hotel is situated just a fifteen-minute drive away from the magnificent 18 holes at Monte Rei Golf Club, a Jack Nicklaus signature golf course. In 2015, the Maria Nova Lounge Hotel underwent a 2.3 million euro refurbishment to transform it into the stylish four-star property that stands today. Each of the stylishly decorated bedrooms feature a private balcony with either city or mountain views so that guests can take full advantage of the hotel’s stunning setting. All of the guest rooms here come with all of the modern essentials to ensure each and every guest has an unbeatably comfortable stay. Amenities include air-conditioning, a hairdryer, Wi-Fi access, a safe and a television. Having recently undergone a multi-million-euro refurbishment, the hotel's leisure facilities are all in immaculate condition. There are two swimming pools located outside lined with sun beds and parasols, with a pool bar sandwiched in between them so that guests never have to travel far from their sun bed for a refreshing drink. Furthermore, there is also a heated indoor swimming pool as well as a fitness centre and spa facility. The hotel's Balsa restaurant serves up a large buffet for breakfast, lunch and dinner. Guests also have the choice of dining a la carte for dinner times. The Bar Panoramico is a great place to relax with a well-deserved beverage whilst soaking up the stunning views of Tavira.